You may have seen their viral videos – now prepare to get infected in person. 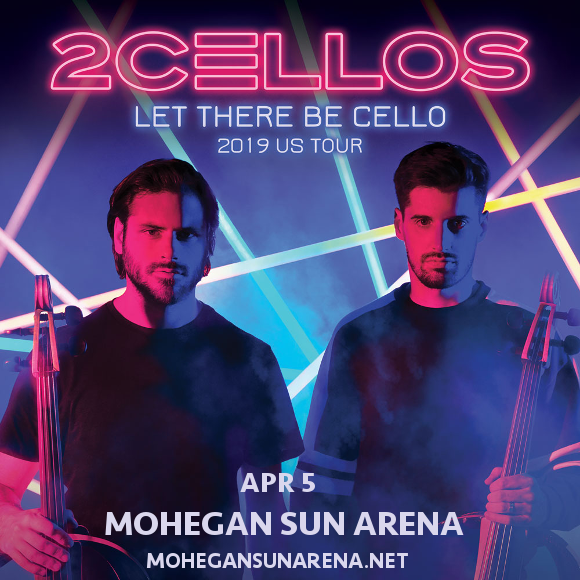 That’s right, ladies and gentlemen, the phenomenal duo of Luka Šulić and Stjepan Hauser, otherwise known as 2CELLOS, are on their way to the Mohegan Sun Arena on Friday 5th April 2019!! Don’t miss out on your chance to catch this truly unique performance – book your tickets now!! Get ready to experience the storm live – we can guarantee you won’t regret it!! Book early for your best chance of a place at the 2Cellos concert! !